JAY R returns with a riveting single titled “TWISTED”. Who said Gospel music cannot be made in Rap Genre? After going under the radar for more than a year, the lyrical, hard-core Gospel rapper returns to the studio and came out with a this street banger ”TWISTED”. He definitely got the radio spinning with this one. 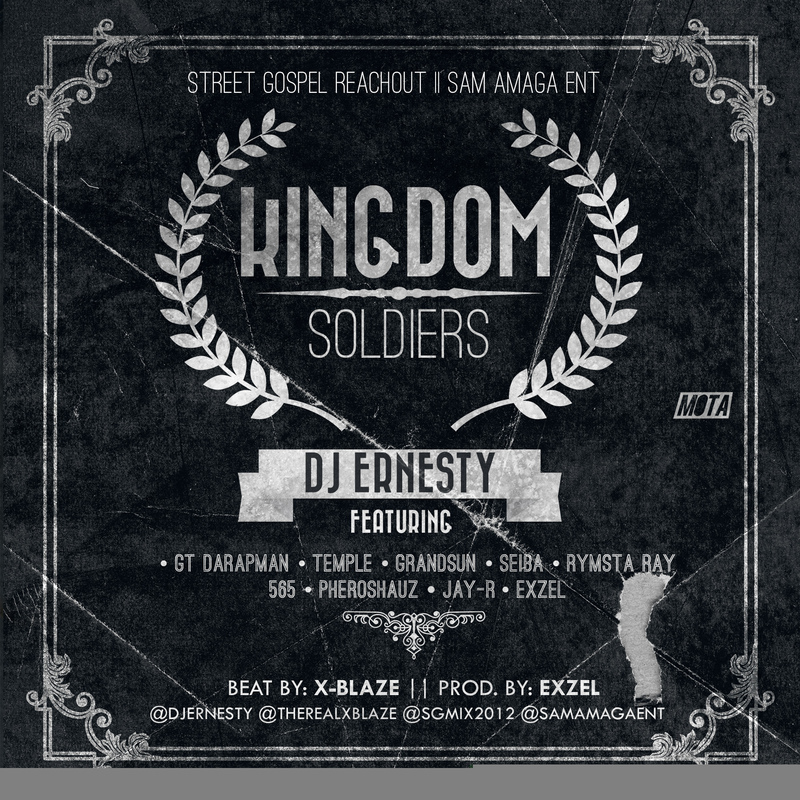 SAM AMAGA ENTERTAINMENT is Back in Your Speakers As we present a DJ ERNESTY collaboration featuring two Artistes from his previous hip-hop collaboration KINGDOM SOLDIERS Sam Amaga Entertainment boss Pastor Isiah Sam Amaga popularly known as JAY-R as he tags along one more time with a multi-talented producer and vocalist EXCEL to bring to you this piece curled from the very popular song of praise and thanksgiving titled AWESOME GOD. Abuja’s Finest Gospel Rapper and producer JayR brings to you his new single titled “Guiding Light”, In his own words he said…..Guiding Light is off my forthcoming album “Preacha-Boy” got inspired from Ps.109.105 which i used to do as chorus. God’s word is our compass our map..our GPS .. i want people to know that. Prov 3:6.. he shall direct your path. Get hold of this song and be inspired….